New LED lighting technology provides new experrimental options. Insead of being limited by a fluorescent bulb to soft white, warm white, or some other fixed quality, light can be adjusted to meet your specific need. Light colors can be arrayed within the chamber, providing nearly every useful color combination you can imagine. Photostability chambers come in many different sizes and configurations, from large Q1A stability chambers outfitted with lights, to converted industrial test units. Caron's 7540 & 7545 photostability chambers take a different approach, focusing in on the Q1B option 2 requirements to produce a class leading 42 hour run time to exposure target. Faster performance equals higher throughput, without the need to buy larger chambers or multiple units. 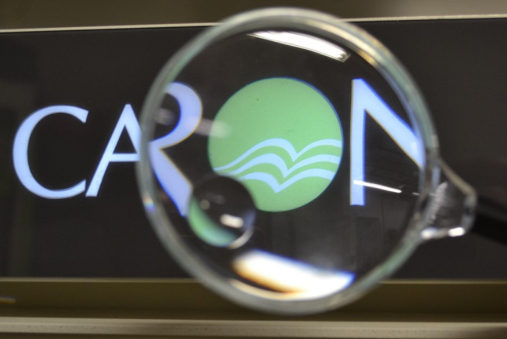 If you're used to waiting 12-14 hours for a heat-based cycle to provide the confidence of a sterile culture environment, Caron has news for you. A new dry H2O2 process, available both in Caron's small stackable and large reach-in units, provides that assurance in two hours (basically, a long lunch). Check out both the totally new Wally CO2 incubator, and the redesigned 7400-series Reach-in units for details. Compressor-driven refrigeration systems offer superior refrigeration capacity to thermoelectrics (also known as Peltier-effect), but when run constantly, consume far more energy. Caron's vROD (Refrigeration On Demand)offers the ideal compromise between these two technologies, running only when needed, for fast temperature pulldown combined with power usage that is less than half of traditional constant-operation units. Most reach-in CO2 incubators are operated at or near 37C, and like their small stackable cousins, don’t feature refrigeration systems. The ability to cool, however, may be necessary, even with a temperature setpoint well above ambient. Large shakers and cell rollers, which are often used for controlled temperature suspended or adherent culture, generate substantial waste heat. If used inside a reach-in chamber, they can drive the unit above the desired setpoint. To prevent this issue, Caron offers refrigeration as standard in all its shaker and cell roller-ready reach-in chambers.